Having laid out the future of the Innofader, there were a few holes - like photos of the Innojuster in all its external fader adjusting glory. After that, all that is left is to show it in the hands of gifted DJs to prove that it does work inside the previously 3rd party fader hostile Pioneer DJM-909 and DJM-400. We've already shown you the demo by numbers from Korg. And despite the new Kaossilator Pro looking just like the old KP3 really it's worth showing some pictures anyway for completeness. Phillip is beginning to get to grips with his no at all point and shoot Canon EOS 40D. Some nice shots in there sir. So far, there's not much to be said about these new Ortofon Serato S-120 carts. Apparently they fit on the end of popular tonearms, and when placed in the groove of a record will reproduce sound for the listener. Or something. 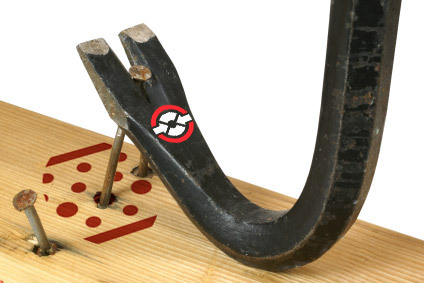 Despite turning down a trip to Ortofon HQ (I'm just too busy), I'll be posting a story soon enough that hopefully explains what the hell "asymmetric suspension technology" is. Can't wait. We've already seen the range of DJ Tech modular MIDI controllers, which received the expected mixed reaction, especially given the sideways USB ports. This final set simply covers what was left on the stand. Nothing spectacular, but posted simply because I have the pictures. The surprise guest at NAMM was Denon's DN-X1600. I'd figured that they'd have enough on their plates without working on another mixer to slot in between their mortal level and God mode mixers. We did want to film a demo, but never got a callback from the stand. Sorry Denon - my guy's time is short. While the Rane Sixty Eight maybe be new to 99.9999% of us mere mortals, the 0.0001% DJ elite clearly know it very well indeed. Check out the above demos - DJ Enferno rocking a complex 3 deck Hip Hop set, and Jeff Milligan's 4 deck blend fest. Compare and contrast. In the absence of an official demo from suitably knowledgeable Vestax people, Phillip took his scratch demon buddy Rayted-R along to the Vestax stand to tinker with the unmissable PMC-05ProIV, complete with all new 3 sensor magnetic fader. The DJ world held its collective breath waiting for the Jesus Scratch Live mixer to arrive. And we weren't disappointed either. Rane unleashed the Sixty Eight in all its 4 channel dual USB glory. We were there and got Anna from Serato to walk us through just what the hell all the buttons and faders are all about. So the wait is over - we finally now know what the long awaited partnership between Ableton and Serato is all about. Well you know now if you have a clue about what Ableton does - which I suspect a lot of you actually don't. As the above clip says, thing of Ableton as "a super deluxe sample player". So see how the 2 products work together and how they could work for you. Poor Richard Brace - having starred in the one and only demo video to come out for the Allen & Heath xone:DX at BPM, he's had yet another skratchworx camera shoved into his face, at a time when his body is screaming that he should be in bed. Jetlagged and demo weary, Richard digs deep and tells us about the xone:DX just one more time. Korg's KAOSS products walk that fine line between DJing, performance and production. They have a little bit to suit all tastes, so it's small wonder that you'll find them used by a wide range of people and covered in a plethora of scene specific publications. Their features can be applied to a multitude of different uses depending on who's hands you drop them into. And while the above Kaossilator Pro demo covers a number of bases, just watching the features will get your mind ticking over to the possibilities. Like the NS7 before, the rather delicious looking X7 4 channel and bells and whistles club mixer is in the Numark incubator at NAMM. No laying out hands on it, but instead we ran the camera over the actual thing instead of looking at photos. Somehow, these things always look better as a moving picture. While the V7 wasn't exactly unexpected, its arrival has ruffled a few feathers for sure. Hacking the deck part off an NS7, cramming an NSFX inside, shoving an audio interface into it and allowing it to control 2 decks from 1 unit must have some other manufacturers a little worried right now. Mike Hosker runs through the feature set, even if it is much the same as the NS7. DJ Tech continue with their usual never ending onslaught of gear releases. 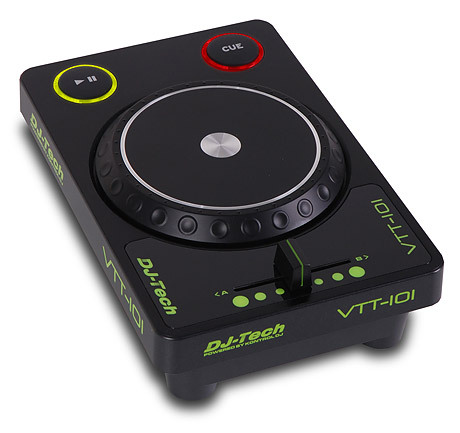 Just before NAMM, I posted about the VTT-101 - a single MIDI deck with just a jog wheel, transport buttons and a crossfader. It has its uses of course, but seemed to sit a little odd with the rest of the market. Until I saw the above video that is, when it became clear that this unit was just part of a bigger picture. DJ Tech now have a range of MIDI separates scaled down into a tiny footprint that lets you have whatever you want in your MIDI arsenal. With Elliot Marx stoking the engine of the Innofader express, there seems to be no mixer known to man that the Innofader won't happily play nice with. Well that's certainly Elliot's dream anyway. The Innofader has now become 2 - classic (exactly the same as the current one so stop crying) and the Pro (extra circuitry to make it fit every damned mixer on the planet - old or new. Peter caught up with Elliot at NAMM and found out about fitting the Innofader into DJMs, how the Innojuster works and also took a sneak peak at the Innofader inside (and a little outside) the new American Audio VMS4. The updated Vestax PMC-05 is a long time coming, but hopefully this year's appearance at NAMM might well show us the finalised version. It's got more output options, as well as a lot more buttons and an all new crossfader to boot. Pictures are coming, but in the meantime, check out the clip that also shows the VFX-1 in a horizontal orientation. So the white sheet has been pulled back, and American Audio's monster MIDI controlling VMS4 has been laid bare. This 4 deck beauty blends analog and digital in one slight oversized box as well as a heap of other goodies too. Didn't see this coming... OK I did. There was no way on the planet that Vestax would make their new Mac only djay friendly Spin controller stay as Mac only. What I didn't bank on was that they'd discard the user friendly and undoubtedly popular colour scheme and make it as fugly as possible. 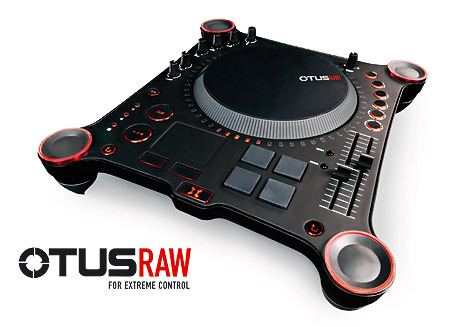 This Traktor version in red (Vestax's current obsession) and faux carbon is just wrong. As the skratchworx NAMM team drift from stand to stand, dazzled by toy after toy, they do remember to feed back what they can via the medium of utterly crappy hotel wifi. While I personally have no words to go with these pictures, I'm sure the guys will be able to feedback some info for you if you ask nicely. 5 years ago, Professor BX put Custom Records in Minneapolis to the test and made a couple of skratchworx picture disk battle weapons. They went with him to NAMM 2005 and did the rounds of industry types and DJ celebs at the show that year. With BX being at the show this year, he's given the same disks to Peter and Phil, who will be doing much the same thing - rudely thrusting the vinyl into your hands while saying "throw gang signs". So the white silky has finally been pulled back to reveal the lengthy extent of the American Audio VMS4. Behold 4 channels, 2 jogwheels, 1 mouse pad and a handful of other touchy areas. Obviously, it's a little bigger than your average MIDI controller, but this is a little more than your average MIDI controller too. Avoiding clich�d straplines, it seems that the bridge takes Serato to Ableton, as well as the other way as well. The Bridge opens up the once closed path between the 2 applications and gets them talking to each other properly. But how does this work? Well watch the above clip to get an overview. A little while ago, I worked out that if updates to Scratch Live carried on at the current rate, then v2 would appear in about 5 years time. Obviously, my future projection galvanised Serato's efforts ten fold, and now V2 is upon us. But aside from driving Rane's �bermixing Sixty Eight, what else does it offer us? One of the biggest calls in the DJ scene has been for Rane to step up to the club mixer plate and make a 4 channel mixer. Not only that, but make it 4 channels and Scratch Live friendly. Well one does depend on the other so now that Serato has hit V2 with multiple decks, Rane can now put out their 4 channel mixer Sixty Eight (words not numerals it seems). But it does go much MUCH deeper than that. Now you see it - now you don't. This was up earlier today and then mysteriously disappeared. And now it's back and likely to stay so I'm posting it up now as a tasty morsel for all those still waiting for Rane, Ableton and Serato news (I promise you that I don't have that info yet! ). Seems that Serato and Ortofon have got into bed and made an all new cart for regular vinyl and optimised for DVS use as well. Fanboys rejoice - the S-120 Serato cart is here. While the scene is awash with bleeding edge nextlevelness by the metric truckload with eye-watering price tags to match, there's often times when you just need to spend a few quid, because that's all that needs spending. So it might be nice to drop many K large on a 4 channel box dripping with stuff you'll never use, but your money could be better spent on something cheaper that actually does the job you need to do. For me, these new Behringer VMX100, 200, 300 and 1000 mixers do just that. Denon make some really good 4 channel mixers. The DN-X1100 is an entry level club affair, whereas the DN-X1700 is stuffed with just about every technology you can think of, but does have a price tag to match. So all new DN-X1600 keeps a large core of what the 1700 is all about, offloads some of the luxuries that the deep pocketed pros crave, but does add a small amount of video via the V-LINK protocol - whatever that is. Imagine the scene - the engineers at Korg are brainstorming for the next big thing. One particular white coated labrat is pacing around with a KAOSSILATOR in one hand and a KP3 in the other... "so we have these 2 excellent unique top selling products, each with their own individually desirable feature sets - but what on God's earth can we do next?". In a moment of inspiration-free frustration, the labrat smashes the 2 units together, and thus the idea for Korg's latest shiny was hatched*. Say hello to KAOSSILATOR PRO - the genepool blender creation from Korg. Forgive me - I'm looking at this and thinking that bar a couple of knobs, this new Akai MPD26 is almost the same as the existing MPD24. I'm sure however that the pad bashing experts out there will be snorting coffee and screaming "you damned heathen, it's entirely different". I await schooling on such matters. Sitting twixt the small jogwheeled NDX200/400 and the new motorised V7 is the NDX800. At first look, I assumed it was one of the small square brick like mini media players like the DJ Tech uSolo and Denon's DN-S1200. But this is in fact a 7" jogwheel, and has a feature set that is pretty close to the older iCDX. This is a looping sampling MIDI controlling deck O' fun. All in ones are de rigueur this season. Everyone has one, and Numark are about to bring you another. Looking like an NS7 for the rest of us, MIXDECK is about as all in one as you get, playing just about every format you can think of, including CDs and iPods. People do have incredibly high expectations of the iPhone. Just because it's like a computer, people want it to do very computer like things - including especially demanding music type stuff that traditional hurts your processor. Akai have risen to the challenge (discounting the Mixmeister scratch app of course) and made SynthStation Studio, as well as the iPK25 to drive it. Sat in my kitchen is an APC40. The review is in, and just after the NAMM coverage dies down, I'll take some of my usual pretty pictures and post the review. But the Ableton Live gravy train continues to rampage through the DJ scene, and all new Akai APC20 pretty much lives up to it's name - it's the left half of the APC40, but with a small sprinkling of under the hood extras that you Livers will no doubt go gooey downstairs about. Numark's recent forays into mixers haven't set the world on fire. They have a huge range of stuff that sells in quantity to the budget end, but as yet have failed to have a standout product in the 4 channel market. But with their new found ITCH based success, that might be about to change. The Numark X7 has been designed to compliment the previously discussed V7 decks and bring 4 channels to 2 decks, as well as a few interesting extras along the way. 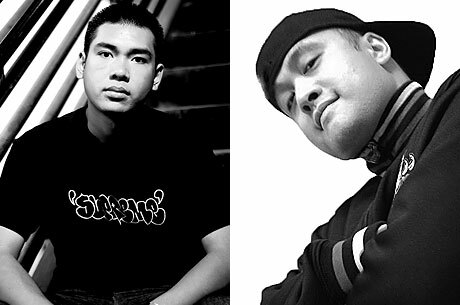 When Numark and Serato snuggled up together dropped the NS7 and ITCH on an unsuspecting world, by far the biggest comment was that the all in one nature was a real problem. It did occur to me that the Vestax VCI-300 and NS7 did prove the 1:1 mapping principle, thus it was just a matter of time before ITHC separates would begin to appear. And that time is now. Numark's V7 is essentially the deck part of the NS7, but with effects and a heap of other functionality built in. While some companies might like to fly in people from all over the world, thus killing the planet just that little bit more and probably some kittens too, skratchworx is far more environmentally aware. So this old man will thankfully be staying warm and remaining in the office while the carbon footprint friendly duo of (L to R) Phillip Le and Peter Mapanao will be doing the reporting honours once again - and only driving in from San Diego as well. No airplanes will be used, rain forests felled or kittens killed to bring you this NAMM coverage. Having played with the original OTUS at length and slowly appreciating the left field thinking, and even falling in love with it a little, there were some things that not everyone would appreciate. Pitch control for example is something that many DJs prefer to have exact control over - something that the original touch sensitive OTUS lacked. Well that and a few other things will soon be addressed with the long awaited Otus RAW. Sometimes it's the little things that make all the difference. It's all well and good having an amazing box of tricks crammed full of every bell and whistle known to the DJ world, but if the fader feels like shite (as too many do) then it's all rather worthless. 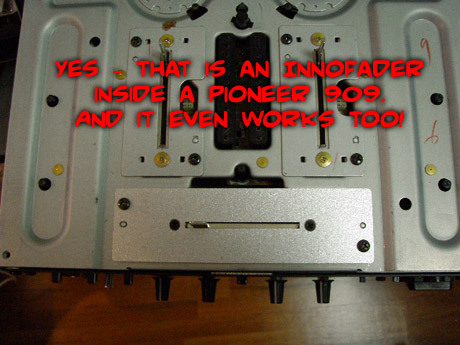 The Innofader rescued many a mixer from the great scrap heap in the sky, but Audio Innovate's Elliot Marx wasn't happy until he'd liberated every mixer from shoddy fader performance. And this year, he's taking a massive step nearer his goal of fitting an Innofader in every mixer, and importantly making external adjustment a reality. All hell breaks loose on Thursday when the NAMM doors open and all the dark secrets being worked on in the development dungeons of numerous vendors are revealed to the DJ world. And the obvious biggie is the long awaited near mythical collaboration between Serato and Ableton. They've thrown up a funky website that appears at this point to be little more than banter between the two companies, but importantly Scratch Live v2 has entered a private beta state. January - the month of snow, detox and extra zeros on the plastic bill. But for us gear geeks, it's Winter NAMM - well as wintery as Anaheim gets anyway. And thus the PR starts to trickle in from the various companies all hoping that we'll soil ourselves at what is going to be shown to the select few thousand trade visitors to the show. 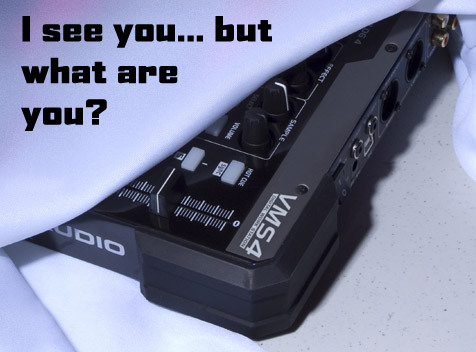 Of course, I can't tell you everything that I know, nor pretend to be a visionary by correctly predicting what I already know, but I do have this very interesting hyped up teaser from American Audio. Woopee do - looks like a MIDI controller� but wait - there's more to it I think. Standards - they'd be nice right? When vinyl was the standard, you could be sure that it would work on any deck you put it on. But since the digital age got a grip, much like the rest of the world were computers are used, each system uses its own proprietary file formats meaning that data wasn't as transportable as you would like. Sure - you can use an MP3 in any system but all the hard work that you do in setting up loops, cues and crates is simply lost on other systems. That is until Native Instruments decided to make life a little easier for Scratch Live or ITCH users wanting to migrate their libraries over to Traktor. As technology miniaturises the DJ scene, it's less about cramming several flightcases into the back of a minivan and doing 1 gig, and much more about throwing your DJ crap in a bag and taxiing (or even flying) from gig to gig in the same night. But that bag must keep your crap safe, and Magma's DJ Controller bag will most definitely do that. In another of those "now you can review it" moments, MixVibes (the company) have updated Cross (the product) to v1.3, thus demoting MixVibes (the product) to the archives of software history. And this version solidifies the evolution from MIDI controlling into full DVS status, as ably demonstrated by DJ Troubl in yet another quality video. There are a number of design rulebooks that the assorted R&D departments around the world adhere to and dust off when they're ordered to make something revolutionary yet essentially safe. But sometimes, the rulebook is shredded, burned and pissed on with the full intention of actually making something fresh and new. And when the Stanton engineers came up with the virtually control-free touchy lego-like SCS.3 system, I'm quite sure the silence, scorn and disbelief from the marketeers was quite tangible. Undaunted, they all looked at each other across the boardroom table and in a what the hell moment decided to go for it anyway. The totally groundbreaking SCS.3 units have finally made it through the skratchworx review blender and come out unscathed. 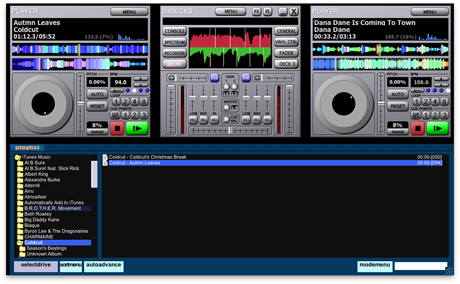 The progress of djdecks has been a regular new story over the years, but has always missed one important thing - a Mac version. But Adion (the maker) has been listening, and finally a Mac version - albeit strictly beta - is available. Technology brings me one step close to my dream - a palm sized deck with built in scratch fader. I don't expect this unit to offer QFO performance, but good enough to enable flare-friendly fun on the sofa, on the train - anywhere in fact, so that the phrase "I'm just off to the toilet to crack one off" will mean something entirely new. Rasteri's strictly prototype unit is what I'm talking about, but while I wait for that to become a reality, the DJ Tech VTT-101 is certainly a step on the right direction.